It was fairly good but definitely but not her best work. I purchased it at Books-A-Million in one of the clearance bins... so that should tell you something. The story takes place at a small inn on the outskirts of a New England town. The owner of the inn fixed up a huge house that she once resided in with her now-widowed husband. She is currently hosting a wedding for dear high school friends--Bill & Bridget--who have found each other again. The wedding brings together a group of individuals who were very close at one time but haven't spoken to or seen each other in years. Old memories rehash themselves, old lovers find themselves in the throes of temptation, and old grudges show their ugly faces. For a reason I'm not sure of... one of the characters (Agnes) is writing a book about the explosion at Halifax and the story she is writing segways into the entire novel. It can be confusing at times and I'm not entirely sure why this was included by the author. Perhaps it was a way to better understand Agnes and her actions. At times, I even found myself wanting to read more of the story Agnes was writing rather than the story of the wedding... so that was kind of weird. Overall, this book was merely okay... there were parts of it that were very interesting and there were parts of it that were not. I'd give this book an overall average grade of C.
Erin (Drew Barrymore) is interning as a journalist for a NYC newspaper. Garrett (Justin Long) manages musicians and works for a recording company. They both had crummy days--Erin being criticized for her work & Garrett being dumped by his girlfriend because of his lack of commitment--and head to the bar for drinks. They meet each other at said bar by arguing over a videogame machine and hit it off. Erin mentions that her internship is ending in six weeks and states that she will be moving back to San Francisco. They agree to keep things open and just have fun. However, when the six weeks are up... the two have a difficult time saying good-bye and agree to try the long distance thing. The rest of the movie is generally about the hardships of such relationships and trying to make them work. YAY! In case you missed it, I won this bad boy in a giveaway on Shasta Anne's blog! It arrived yesterday and it was just what I needed! We are excited to hear that you are already awarding the Clarisonic an A++++. We look forward to hear more about your cleansing experience as you continue to use it. Find us on Twitter @Clarisonic or facebook.com/Clarisonic. Happy Cleansing! HAHA! 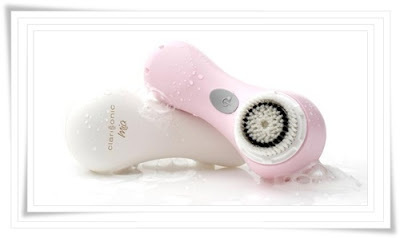 I love that Clarisonic commented on your blog! My heart is so happy knowing that you are enjoying it! Another great product to use with it is the Epicuren acne cleanser, it is incredibly mild but effective, has no preservatives or petro-chemicals. Email me if you have any questions! Have a great day!